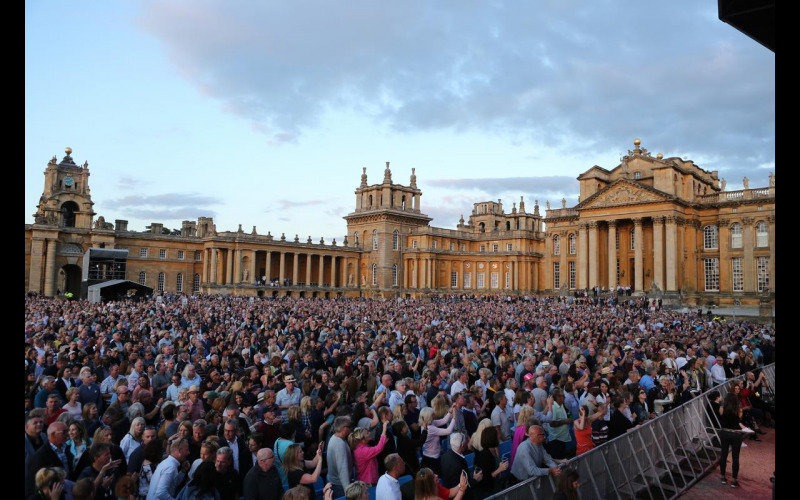 Nocturne Live is back at Blenheim Palace inviting a selection of worldwide artists to perform in front of its beautiful backdrop, and we’re giving you the chance to win a VIP prize to see Tears for Fears performing at Nocturne Live on Saturday 22 June 2019. Set in 2,000 acres of spectacular ‘Capability’ Brown landscaped parkland in the heart of the Oxfordshire Cotswolds. The 300 year old Palace is a UNESCO World Heritage site and is one of the UK's most famous and best loved stately homes located just 8 miles out of Oxford. Tears for Fears' illustrious career launched when their second studio album Songs From The Big Chair, with hits 'Shout', 'Head Over Heels' and 'Everybody Wants To Rule The World' achieved multi-platinum status in both the UK and the US in 1985. Your VIP prize will also include double room with full English Breakfast at The Feathers Hotel on 22 June, Blenheim Palace Hamper and 2 adult annual pass tickets to Blenheim Palace, Parkland & Gardens. Part of the very fabric of Woodstock since the 17th century, The Feathers is a chic town house hotel by the gates of Blenheim Palace which offers guests a contemporary yet traditional stay with a warm welcome. The Feathers bar was first into the Guinness Book of World Records for offering the greatest variety of gin available on the planet - over 400!